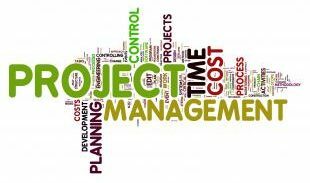 MS Project: Error of Assigning Resources to Summary Tasks – Allman Professional Consulting, Inc. When we are in the planning phase of a project it’s common to iteratively build out the WBS and subsequent project schedule. Often as we learn more and dig deeper into the work required we will break out a task into a work package/summary task and a set of subtasks which are what’s needed to be done to deliver the work package. When we do this we must remember to remove any resources assigned to the (now) summary task. What happens if you don’t is that the resources assigned to the summary task are assigned to each subtask. Whoops!! That will definitely throw off your planning! When you open the file you should see the Gantt Chart in the top pane and the Task Detail Form in the bottom pane. In the Gantt Chart click on “Summary Task 1” and in the Task Detail Form assign resource “Staff 3” at 10%. What you’ve just done is assigned resource “Staff 3” at 10% for every subtask. You don’t see it reflected on each subtask. The work for each subtask hasn’t changed. The only change you’ll see is the total amount of work increase by 54.68 hours (= 68.35 days * 0.8 hours/day, which is 10% of “Staff 3” time, for each day) to 2328.68 hours. This is very easy to miss. In this small example it’s not hard to total up the hours and see the mismatch but in a real-world project schedule it’s exasperating to find. Unless, of course, you’ve read this tip and you have an idea of what to look for.